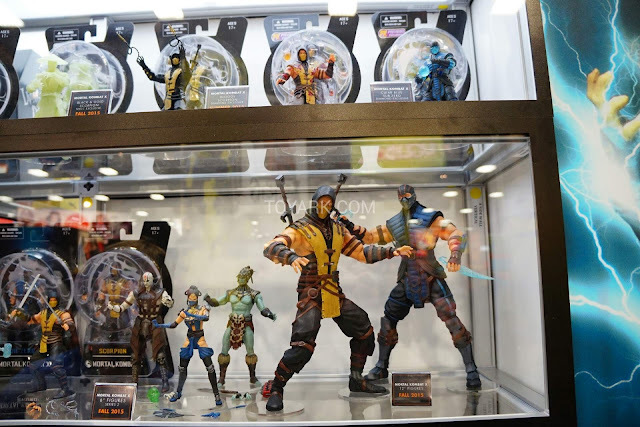 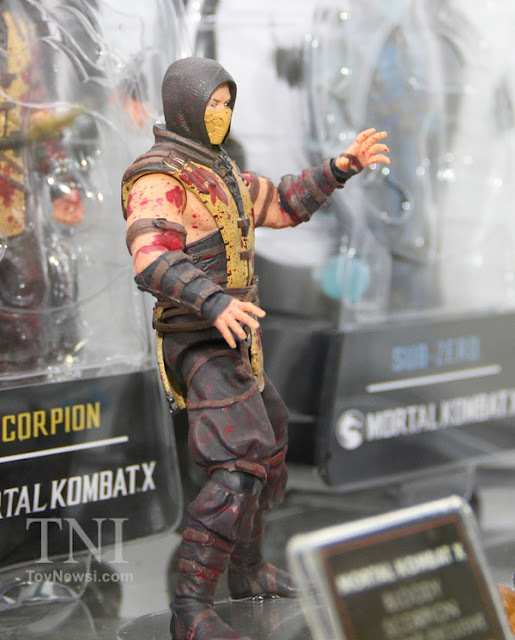 More figures on display from Mezco's Mortal Kombat line! No new characters unfortunately but a couple of variants and some pics of their 12" figures beside the 6" ones for comparison.. 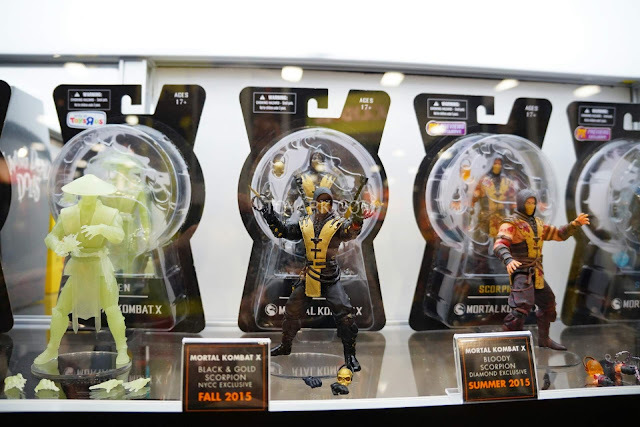 The variants are a bit of a hit and miss for me. 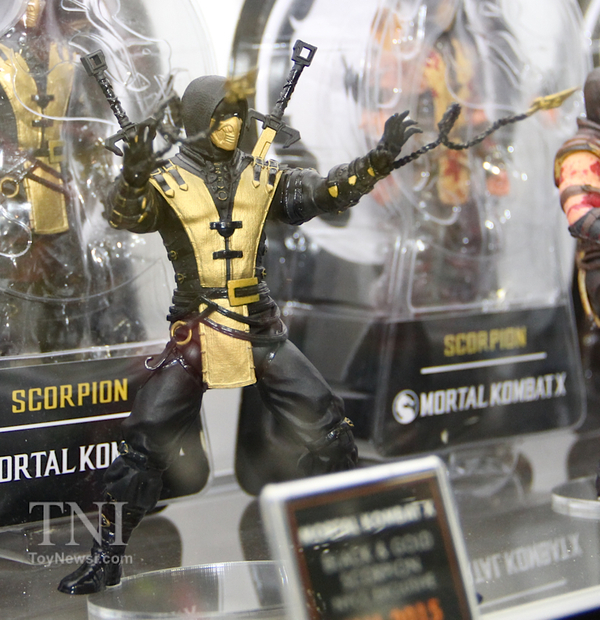 Some look great like the Black & Gold Scorpion, while others like the Glow in the dark Raiden are a bit weird. 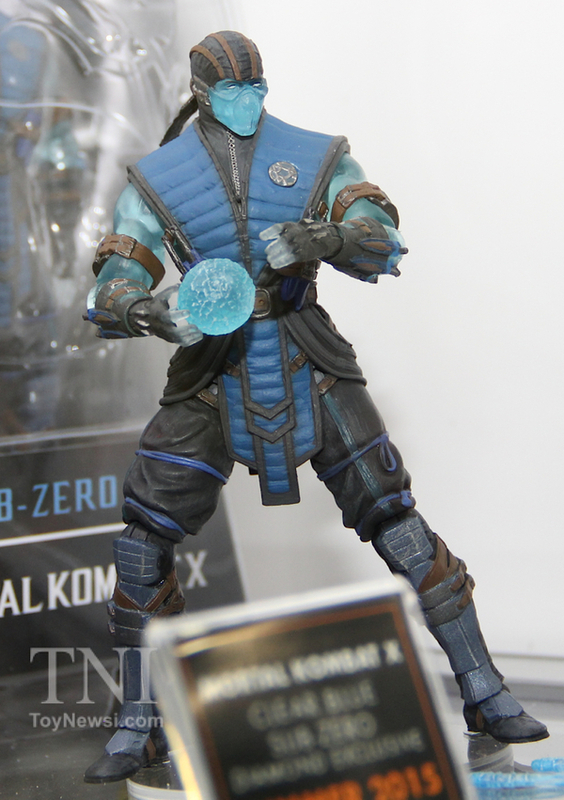 As always, I'm ok with variants been thrown into the mix but would like to see more characters being made. 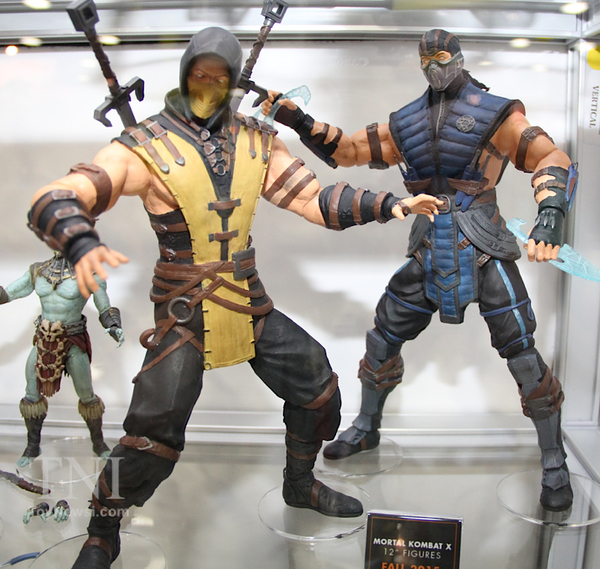 Or how about proper variants like the unmasked Scorpion & Sub-Zero or even an Undead Sub-Zero? That would look sick! 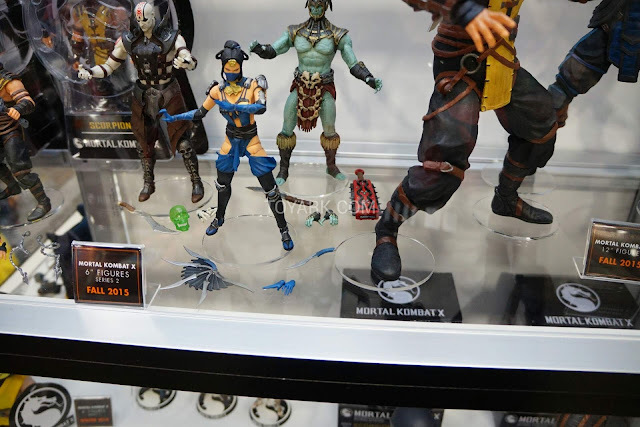 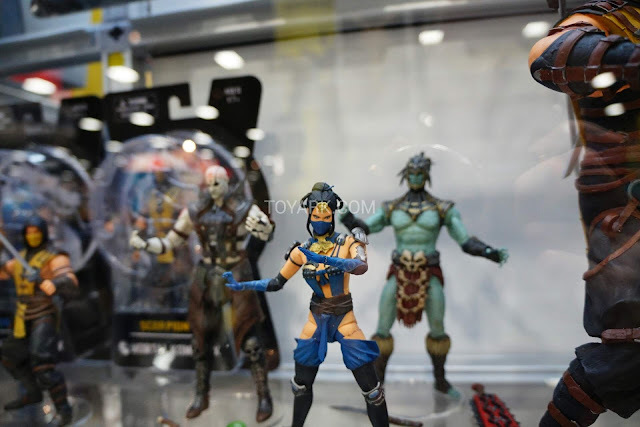 Anyway more pics from figures seen in previous conventions..
and this is the first time I'm seeing the accessories from the Series 2 characters..
Word is that these are the best Mortal Kombat figures ever made, but honestly, most of the previous figures weren't that great anyway so will take that with a pinch of salt. 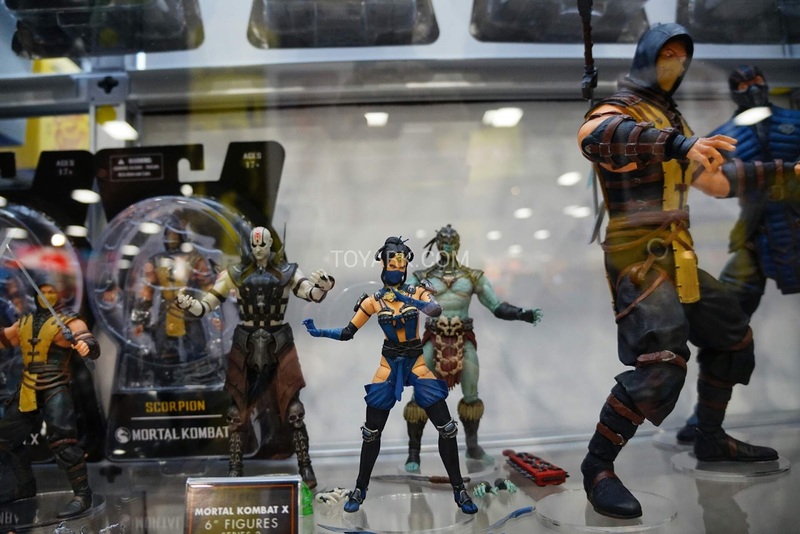 Still, the figures look good and this is something I'm really interested in getting. 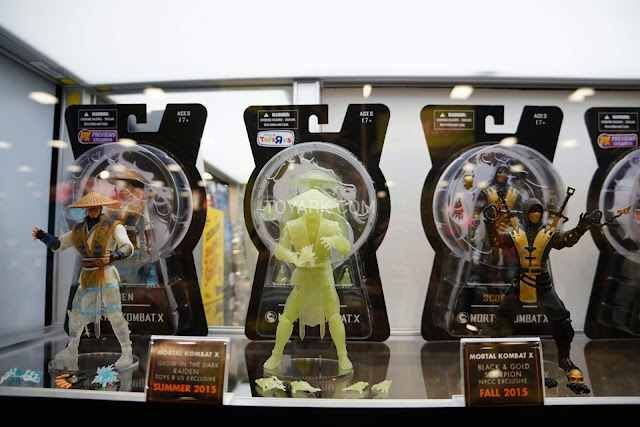 For Singapore collectors, my friend is looking to bring these in, including the presumably hard-to-find exclusives, if there's interest in these. 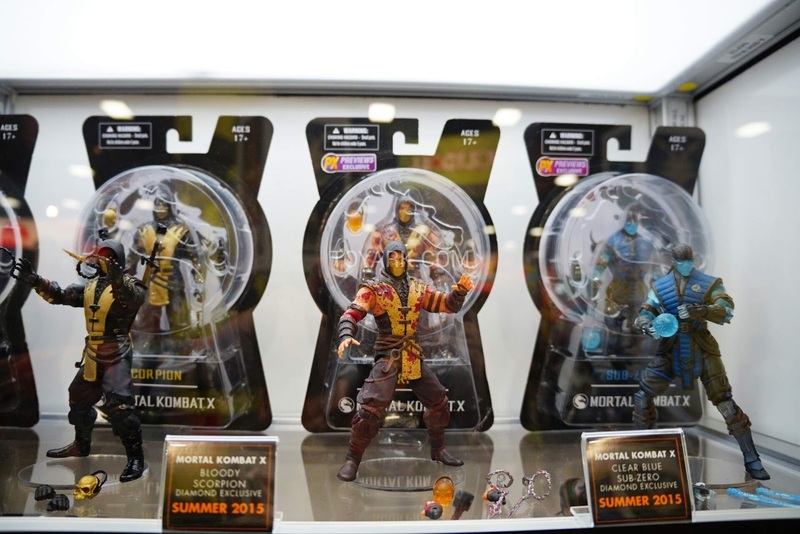 Just drop him a PM on Facebook..
Buy Mortal Kombat Figures from Entertainment Earth!